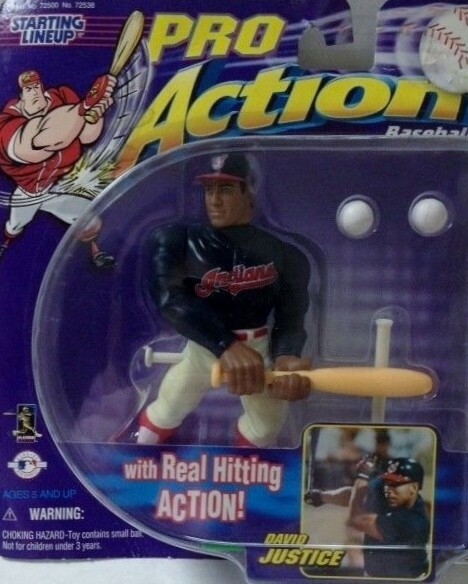 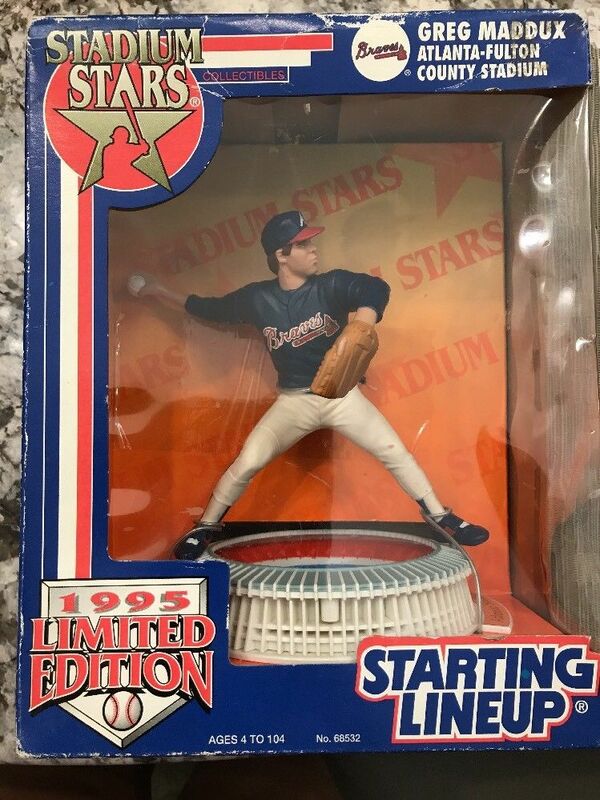 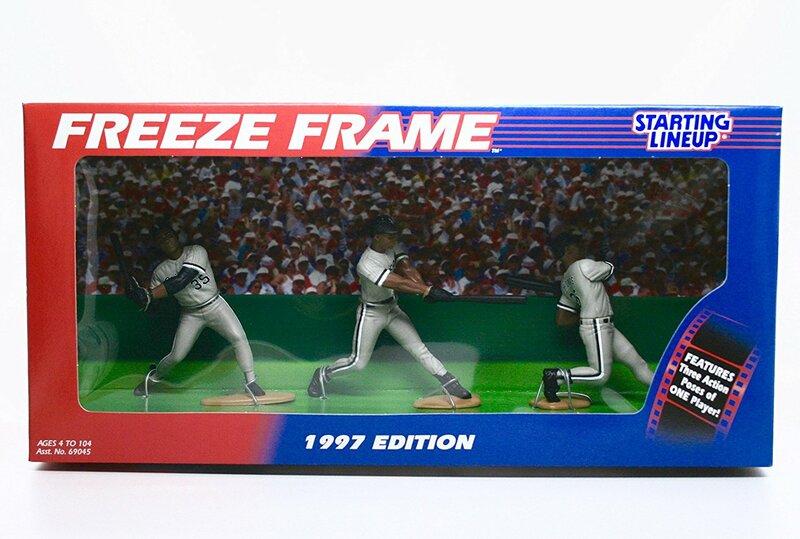 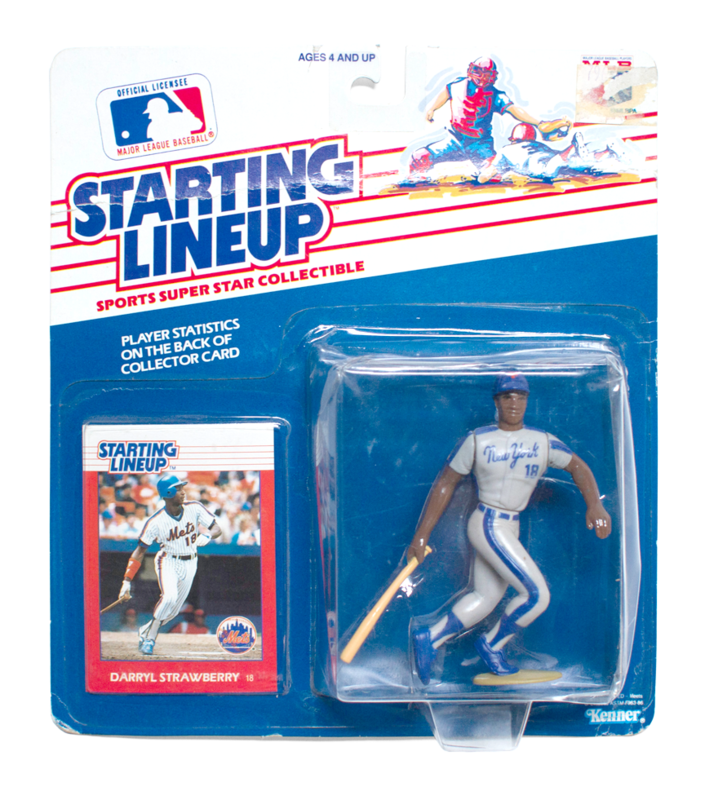 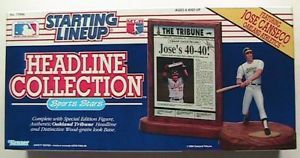 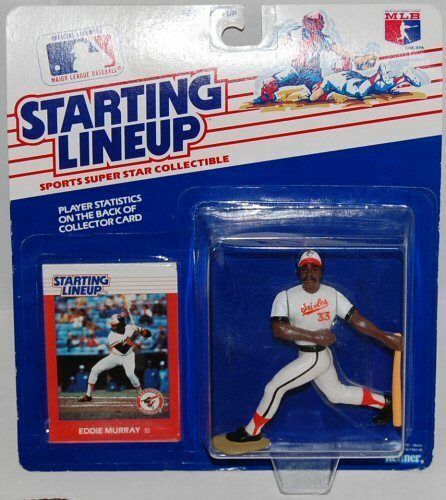 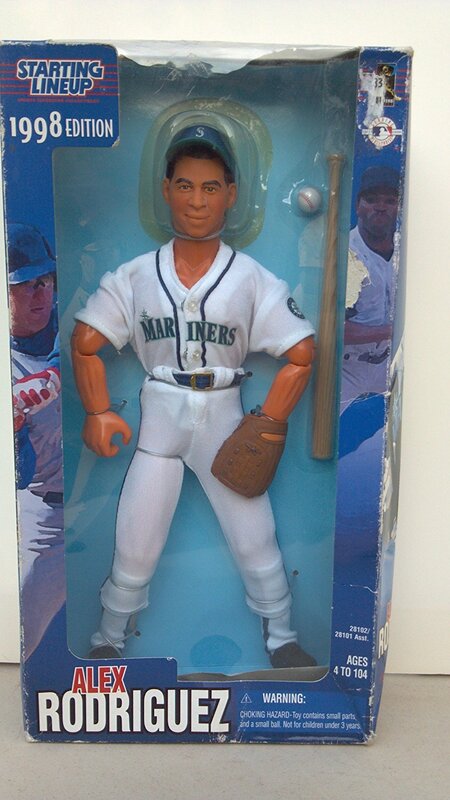 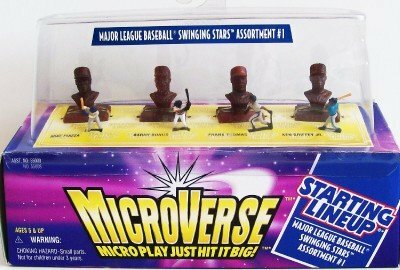 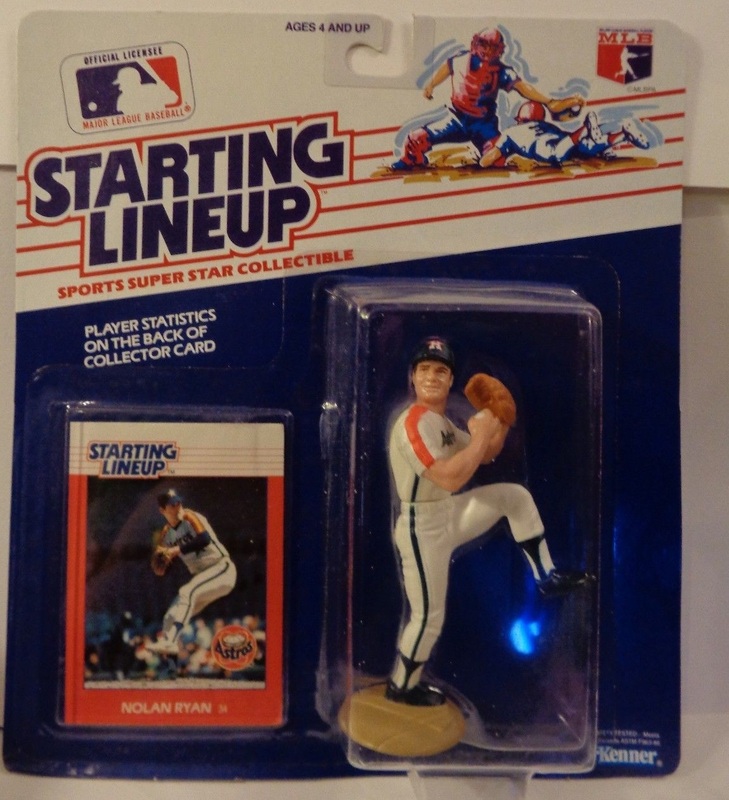 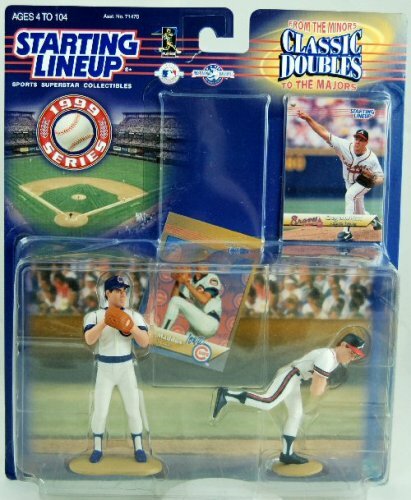 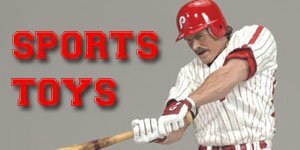 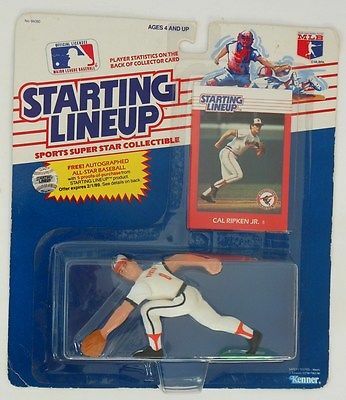 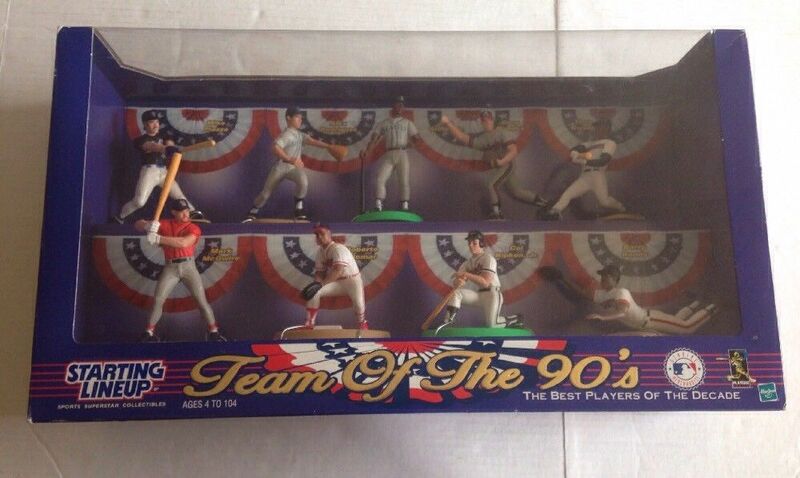 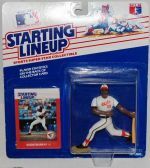 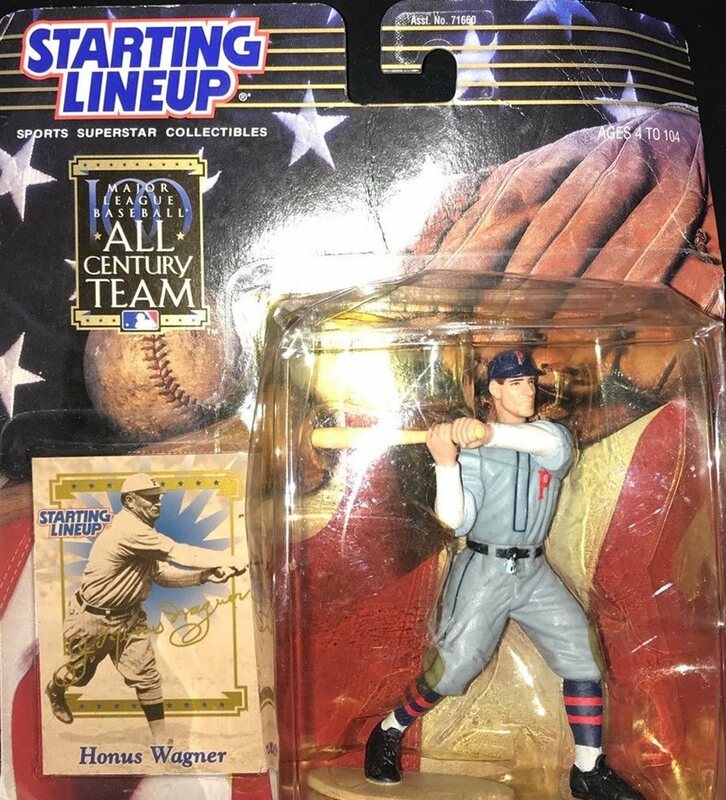 Kenner first debuted the MLB Starting Lineup Baseball Figures in 1988 by releasing a 124 player set, a 5 player stand and a mail in baseball and each team had at least four players in the set. 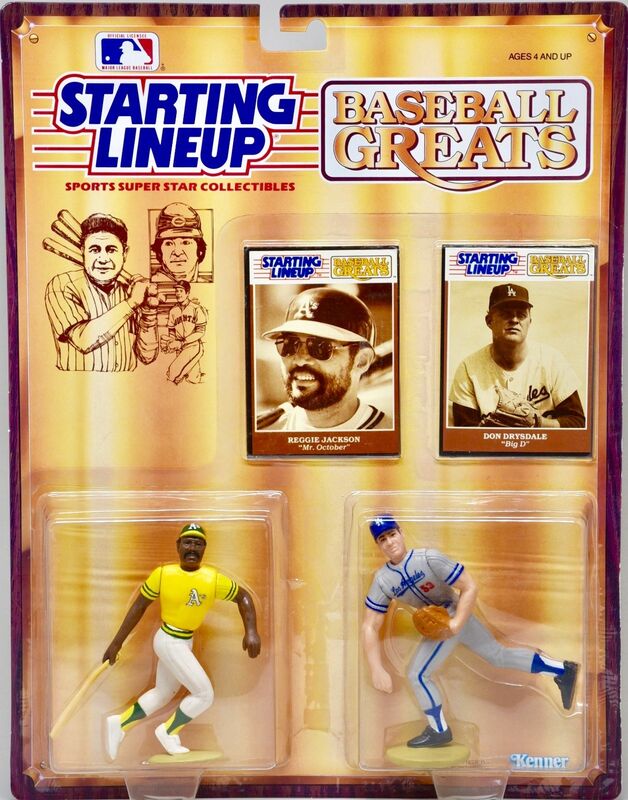 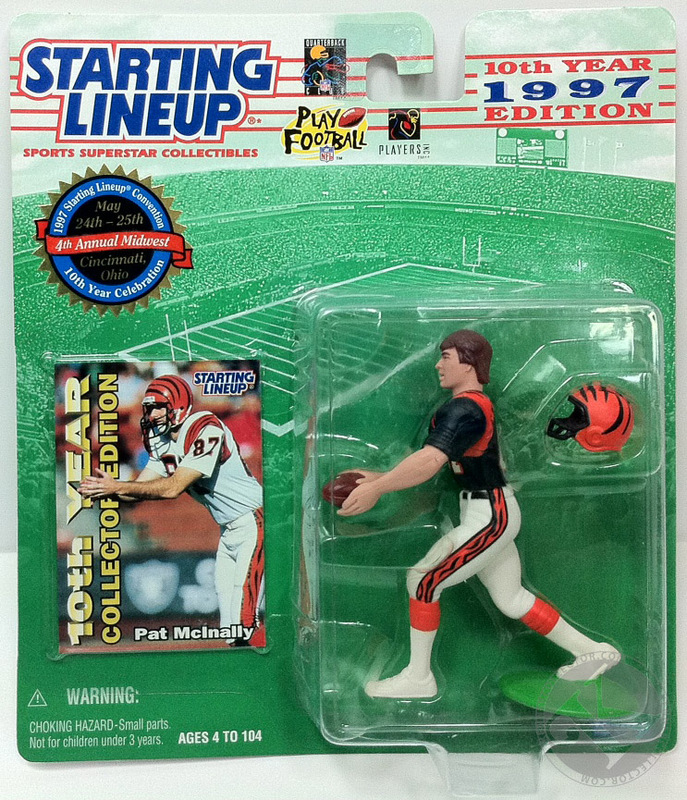 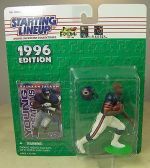 Kenner also distributed the players to stores generally by geographical region, so it was virtually impossible to complete the collection or find players from out of market. 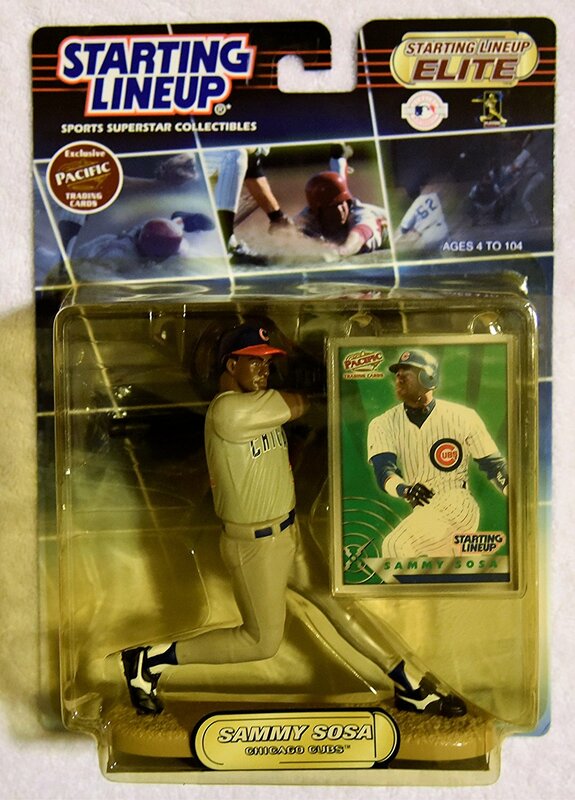 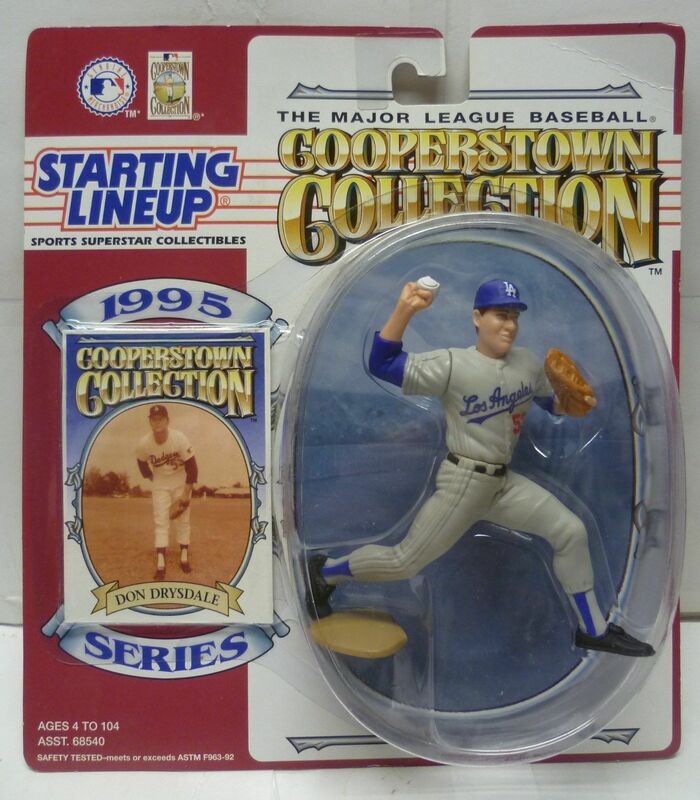 1994 Cooperstown Collection Jackie Robinson #44 $150.00 (note: there was also a #42 produced which goes for much less than this one, ie about $8! 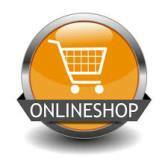 Please note that these prices are only a guideline as they are continually fluctuating and changing. 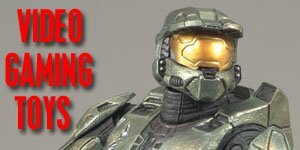 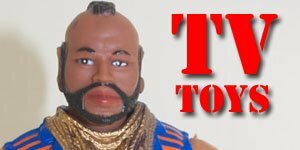 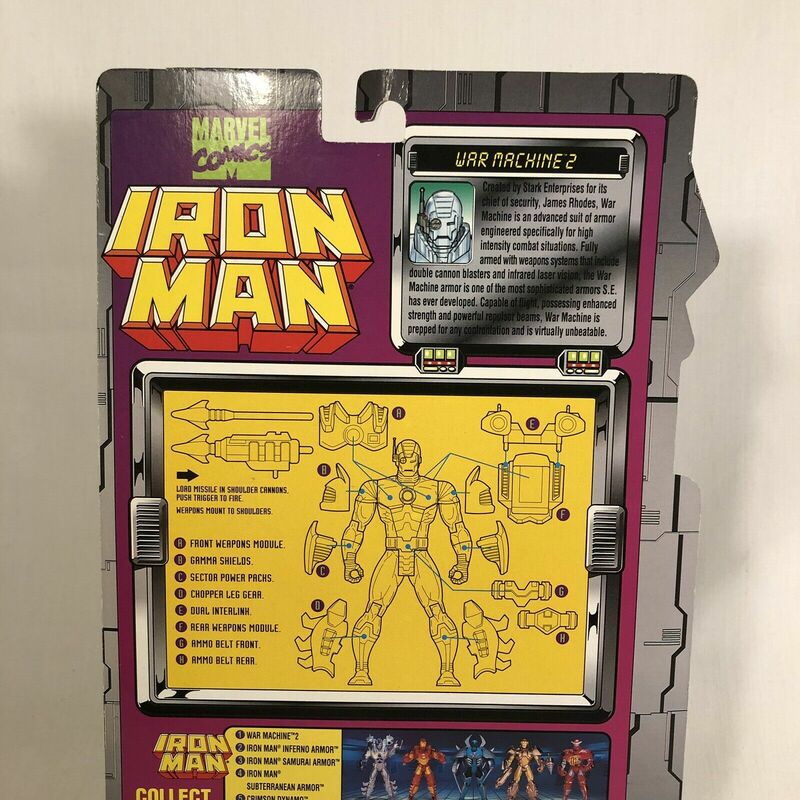 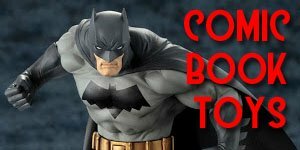 Due to the large quantities of Starting figures produced many of the figures became red tagged items and can still be bought on eBay and other secondary markets for as little as a few bucks however some of the more highly sought after can sell for hundreds of dollars, so it's important to know what you're looking for.